If you’re a bonafide watch lover, that fresh scratch on the watch glass of your otherwise flawless timepiece can be the difference between something you wear and something that settles into that drawer you keep for broken jewelry. It doesn’t matter if it’s a brand new watch, or something that’s been in your family for generations, if your watch needs a little TLC, you’ve come to the right place. MyJewelryRepair.com is here to take care of you and your watch. 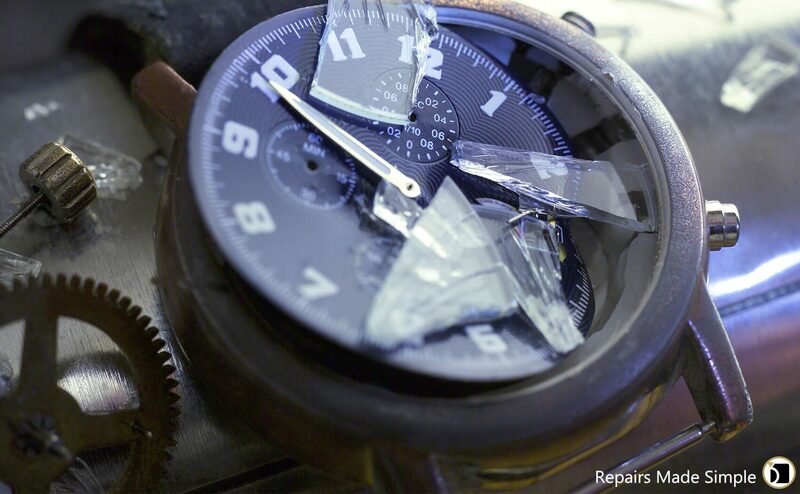 Before you locate that compromised timepiece and drag yourself to your local watchmaker, you may want to consider our on-demand, mail-in watch glass repair service. Need Your Watch Glass Repaired? We Can Help! We’re not here to give you just a fast fix when it comes to watch glass repair at MyJewelryRepair.com. We’re here to give you the forever fix. Your watch, no matter the piece, is always our first priority. From the minute your watch comes through our doors, we have our best certified watchmakers and master jewelers on the case from start to finish. Quartz, mechanical, solar -- we do it all! Just because we offer our service at a premium doesn’t mean our pricing is out of range. We often come in lower for our watch glass repair services than your local jewelry shops. Even better, you don’t have to bring your piece to us and navigate a complex labyrinth of a mall just to get your watch glass fixed. All you have to do is send your watch repair in to us via secure mail, and we’ll get it back to you looking brand new again. You don’t ever have to leave the comfort of your own home! Is your watch glass scratched, chipped, fractured, or broken? Whatever the case may be, we’ll take care of you and your treasured timepiece. No matter what the material, your watch glass can be repaired. No problem. Unlike many watchmakers who simply recommend replacing your watch glass any time there’s a problem, we’ll do whatever we can to remain conservative and true to the piece, even if it means polishing and buffing the existing watch glass, if that’s at all possible. We live in a DIY culture, but certified watch and watch glass repair is still an art form. Your watch glass repairs need to be completed by a seasoned professional like My Jewelry Repair. Even if you try to get fancy yourself and gum up the works, we can still be of service to you. All you have to do is specify your watch repairs needed, and we’ll walk you through the process. You send in your damaged watch; we send it back to you looking brand new. It’s that easy. Visit MyJewelryRepair.com today to learn more. In some cases, when a watch glass is shattered, it is important to also replace the watch movement since microscopic glass or sapphire particles can get into the movement causing damage. If you would like to place a watch glass replacement or repair order, please click on the "Get Started" button below.